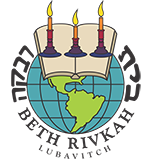 Beth Rivkah was created as a flagship institution, pioneering the Lubavitch Educational System for girls that prepares young girls for their futures as Jewish women and as community leaders, role models, and educators. In the aftermath of the Holocaust—with the Jewish people in a state of despair—the institution assumed vital importance in its role of educating and inspiring the next generation of Jewish women against the tide of assimilation spreading in the United States. Beis Rivkah ultimately became an anchor in the Rebbe’s historic efforts to dispatch energetic emissaries who illuminated and ultimately transformed the Jewish landscape. The genesis of this magnificent structure came immediately after the passing of Rebbetzin Chaya Mushka Schneerson, obm, dear and devoted wife of the Rebbe and beloved figure to thousands of Lubavitchers. Plans were rapidly set in motion to build a campus that would properly memorialize and honor her. The groundbreaking ceremony occurred just thirty days after her passing.